Watch Out! 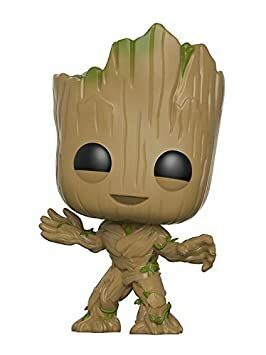 I found a dancing Baby Groot sale and I’m on a mission. 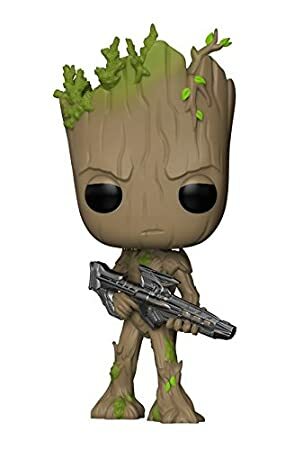 I have to share all the cool Baby Groot stuff I found, so come take a look! Dancing Baby Groot stole everybody’s heart in the Guardians of the Galaxy movie. Just when we were all heartbroken that he died. There was that little dancing dynamo! Awww…. If you haven’t seen Guardians of the Galaxy, you are totally missing a real treat. 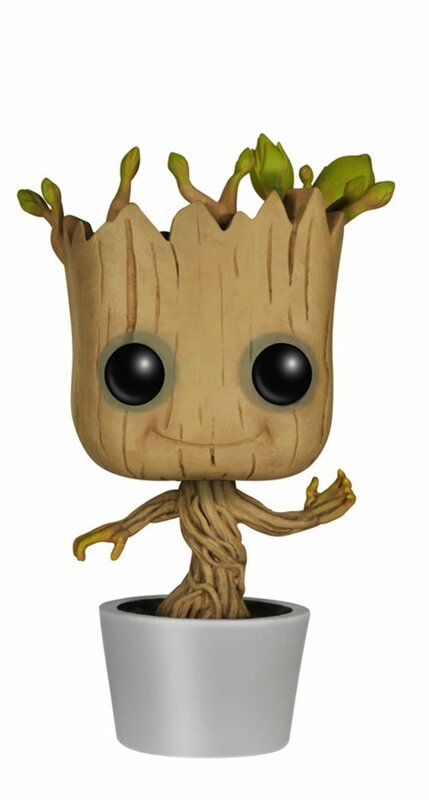 Now that there are two movies and more on the way, we have to check out every dancing baby groot sale we can find! Must. Load. Up. The movies have great music, the story is a blast and the characters are to die for. 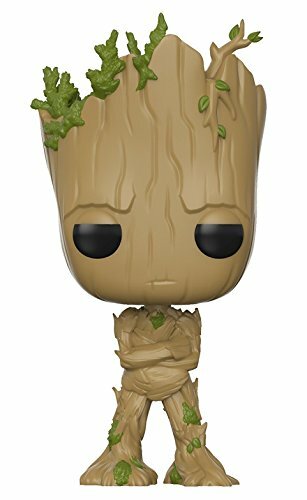 In fact…no I won’t tell you what happens to my darling Groot, played so well by Vin Diesel, just in case you’re that last one on the planet that hasn’t seen Guardians Of The Galaxy, Volume 2. The rest of us who know and love Groot know exactly what happens to him. The important part is that very, very last scene in the movie when you see baby Groot sitting on the table while Drax is sharpening one of his knives. 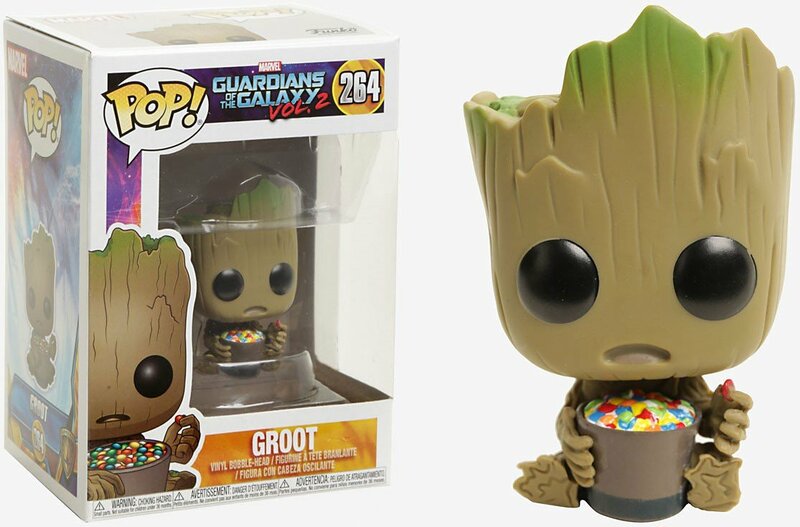 First of all, you’re so happy to see baby Groot, but THEN the real treat. He starts dancing! Yes, he DANCES – to Michael Jackson & The Jackson 5’s “I Want You Back.” Perfection. The best surprise came when I was shopping for some Guardians of the Galaxy gifts. You hadn’t guessed that my husband and I are huge baby boomer geeks right? It’s been so cool seeing the Marvel Comic Universe come to life at last that we anxiously await the next movie to come out. I had never heard of Guardians Of The Galaxy until this movie was announced. Crazy right? I read Thor, Green Lantern and Iron Man as a little girl – but how did I miss these guys? They are hilarious! So count me a new old fan of the Guardians of the Galaxy and that adorable tree dude, Groot. 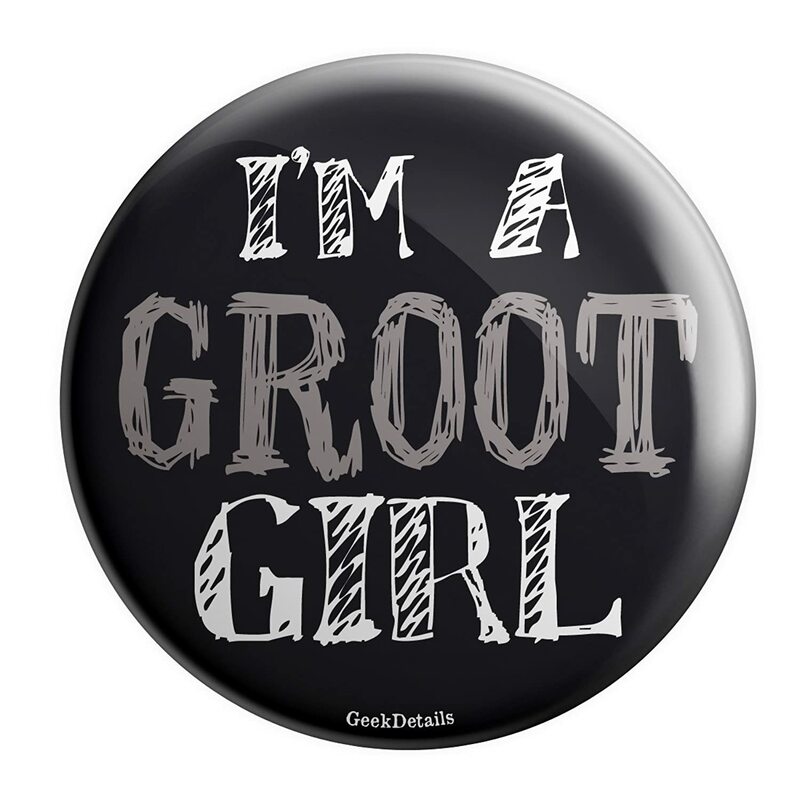 Are you a fan of all things Groot like I am? I found the nuttiest, craziest, coolest t-shirts. Wear one of these fabulous baby Groot t-shirts to the next Marvel movie. Show them who your favorite superhero is. Stop the presses! 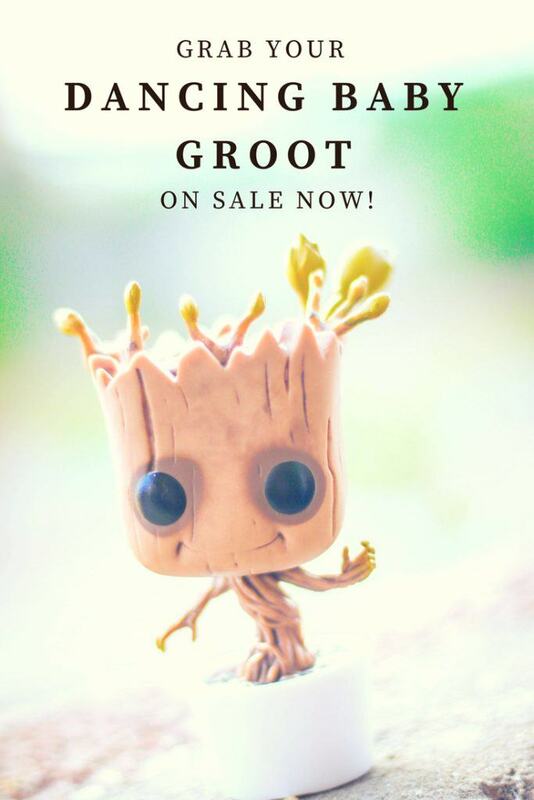 You’re going to love this little dancing Baby Groot! He dances away to his own built in music! Is that adorable? It features the hit song “I want you back” by The Jackson Five just like in the movie. Even more fun is that the little fellow has sound activated sensors. Set him near some music and he’ll dance for you. He’ll even dance when you talk to him. He’s 8 inches tall with a 3 1/2″ pot. Don’t miss this one! What could be better than Baby Groot on your jammies? CafePress has Baby Groot pajamas for men and women. Why not pick up a matching set? 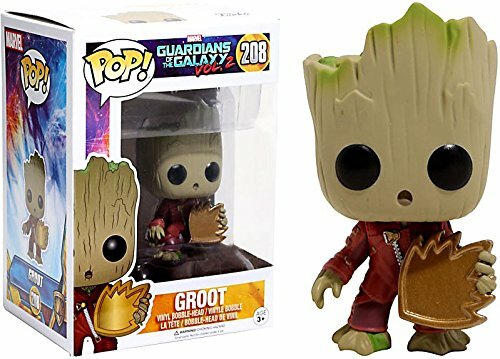 As if those Guardians of the Galaxy t-shirts and pajamas aren’t precious enough, these Guardians Of The Galaxy Funko Pops are to die for. You KNOW I have mine, right? Here are the Guardians Of The Galaxy Funko Pops I’m talking about. I just love Funko Pops! Sort of like toys that grown-ups can play with, don’t you think? 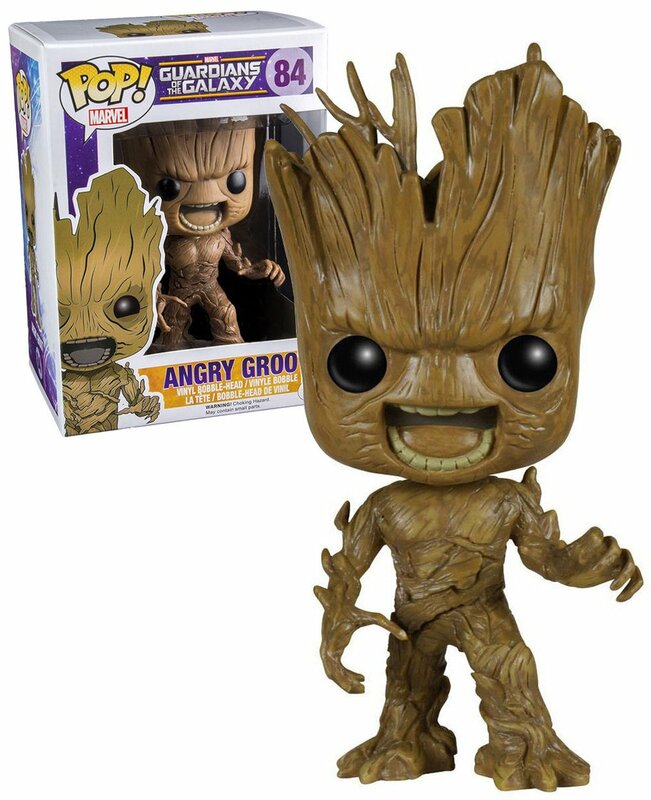 If you want one of these, and especially the Groot one, you better hurry. They literally fly off the shelves everywhere! I was so ready for Guardians of the Galaxy 2 when it came out. It was just sad to wait so long to see Groot again. But maybe in the meantime I could make my own Baby Groot? Yes, that’s right…there’s a craft video for making a polymer clay Baby Groot. All together now….AWWWWW! 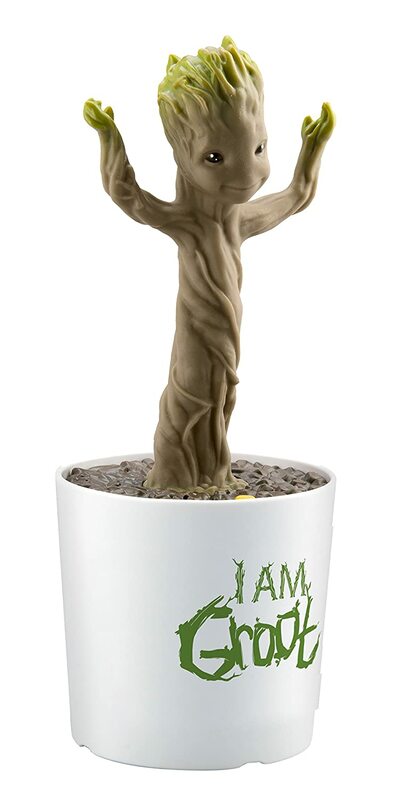 Want MORE Groot gift ideas? Happy to oblige. 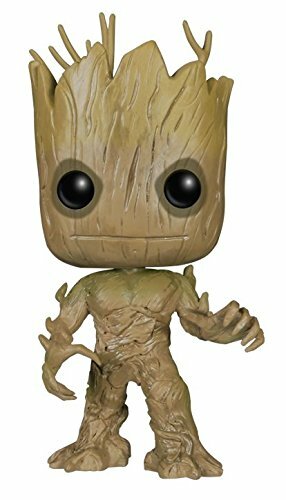 Enjoy these Guardians of the Galaxy Groot gift ideas for your favorite super fan or (wink, wink) for yourself. While you’re at it, it wouldn’t be a bad idea to nab your Guardians of the Galaxy Halloween costumes before the big rush happens. 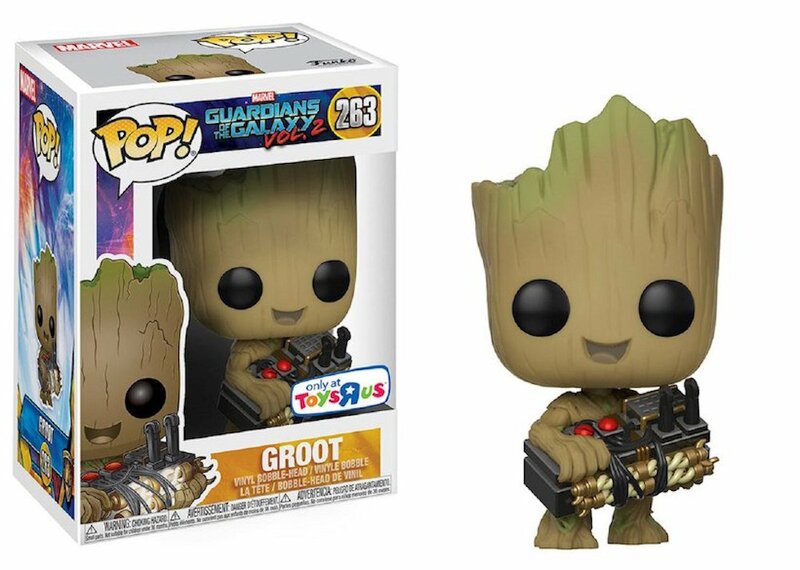 I wouldn’t want to see any little Groots disappointed, would you? Marvel Legends Groot Left Arm BAF Only - Star-Lord Guardians of the Galaxy. 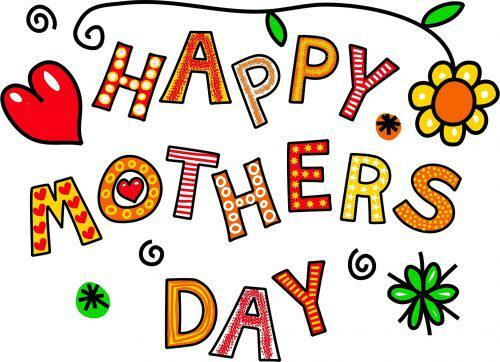 Check Out These Gifts For Mom!